Richard Rawlings is the kind of guy that keeps track of everything in his shop, and when his Gas Monkey Garage started booming, an up-to-date security system was critical. While Rawlings didn’t go out searching for a security system, when pitched the idea, he knew he had to have it. Enter Keith Daulton, regional sales manager at Costar Video Systems, who got 30 minutes of Rawlings time, and turned Gas Monkey Garage into a veritable Fort Knox. Gas Monkey Garage started in an extremely small two-bay garage, and not in the greatest Dallas location. 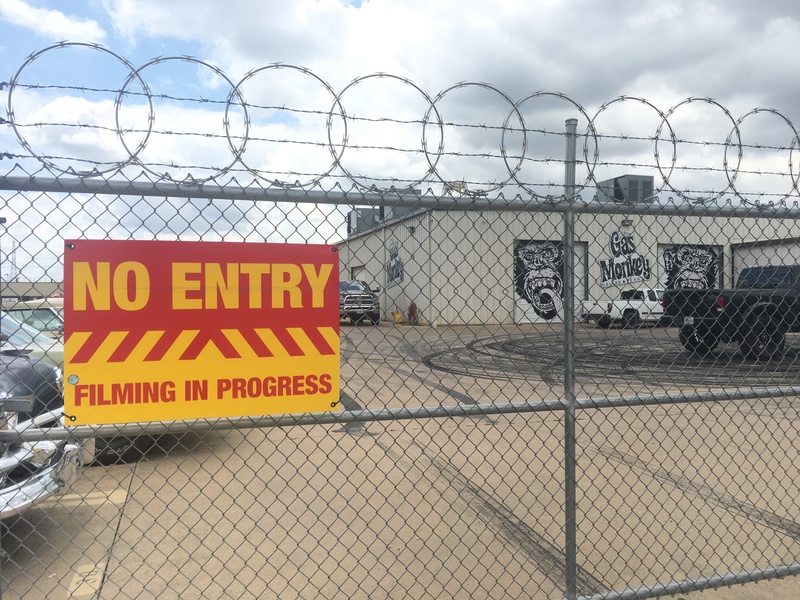 It was a rough area, but soon enough Rawlings bought a larger building, and knew he was going to “have to have video, not just for security but to keep up with everything going on in the garage.” Ever popular on the Discovery Channel with his Fast N’ Loud television series, his fan base has grown worldwide. Locally, one fan of the show is Keith Bell, owner of KB Technologies and the security integrator who worked with the Costar team to secure the premises. Installing the cameras and security equipment had its unique challenges with Gas Monkey Garage constantly in TV filming mode, Bell and his KB Technology team had to be aware of production’s cameras here and there, and behind every door in the facility. Speaking of the fans, groups of people will begin to line the outer perimeter fence almost every day just to see inside the shop. However, a perimeter fence keeps the fans at arms’ length and out of the way of the working staff and the crew. Filming takes place every day of the week, so film taken today by a fan could potentially ruin a scene six months down the road. Gas Monkey Garage is not a garage so much as it is an attitude. Rawlings figured this out early while settling on a security system, and knew that cameras installed around the working garage would also be of interest to his fans. KB Technologies dug a trench between the shop and the Merch store, laid in fiber and displays real-time video from inside the garage on TV. It also doesn’t hurt that Rawlings will wander outside the garage to meet and greet the fans throughout the day. Security cameras took on another duty, after hours. There was the usual reason of making sure no one stole, and that happened… once. But then, there was the time that the cleaning crew posed with a recently refurbished Ferrari. Daphne Kaminski is Rawlings’ sister. As he explains it, she has been with him, “well, all of my life.” She keeps it all together and running on time, every time. While there haven’t been any huge security challenges, it is partly because everyone knows there are cameras in place to keep the shop secure, and under surveillance. The cameras are always recording, but even that changes when there is motion. Once motion is detected in any camera range, recording speeds up from real time to 30 frames per second, and via a cell phone app, Rawlings gets an alert that something is moving inside the garage. Rawlings recognizes his strengths in the business world being his ability to find the right people for the job. From the security perspective, he found the perfect solution with Keith Daulton and Keith Bell, and allowed them the space to do what they do best. While the facilities are electronically secure, Gas Monkey Garage also employs a full time armed guard to further secure the premises 24/7.